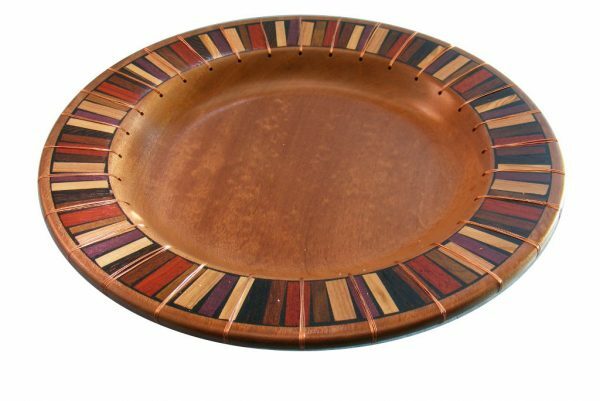 This Wooden Tomato Plate is decorated with a stylized tomato motif that has been carved into the rim of the platter. 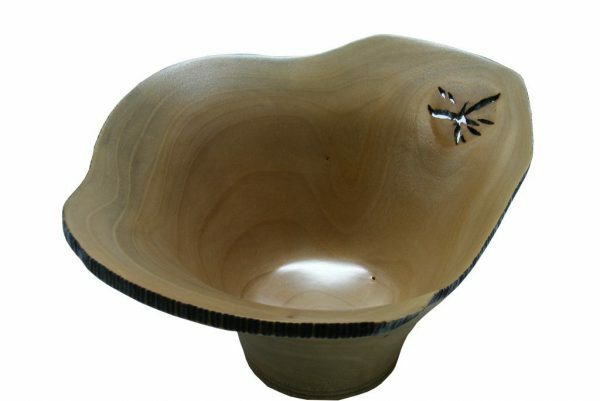 The wood is maple wood, and after turning the bowl on the lathe, and carving the pattern on the rim, the bowl was dyed black. This Wooden Tomato Plate is decorated with a stylized tomato motif. 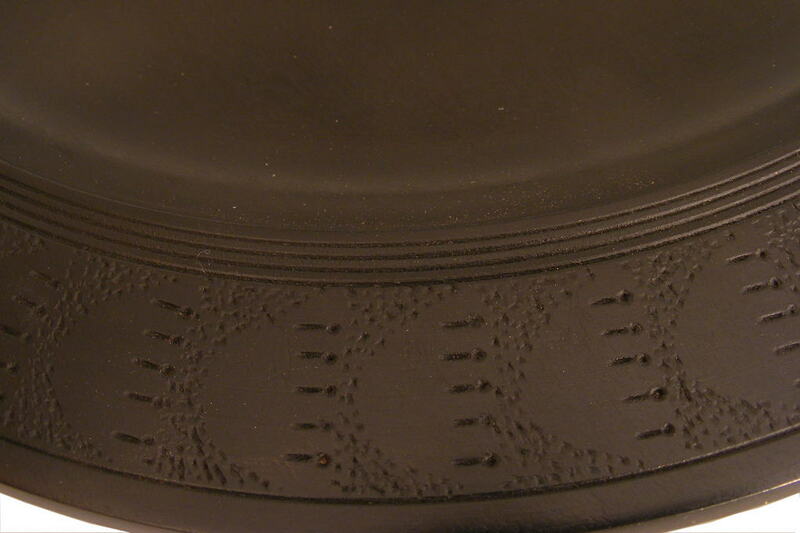 The motif is carved into the rim of the platter. The wood is maple wood, dyed black. 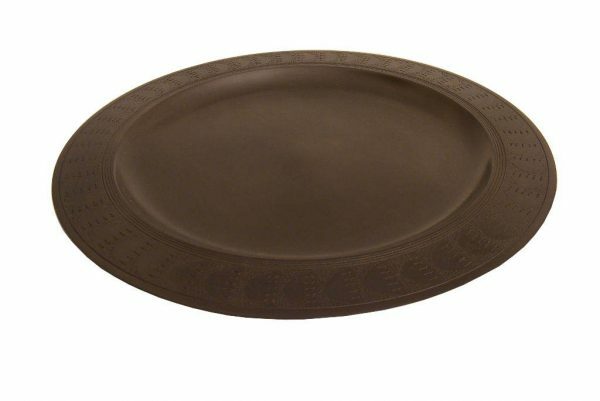 This platter looks great displayed on the wall or on a coffee table. It also makes a wonderful wedding gift. 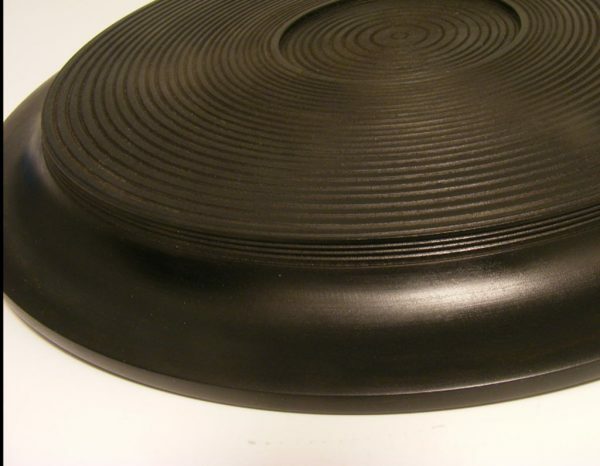 Use this wooden platter to serve dry foods, or use it with a clear glass plate (not included). Oil finish, reapply as needed.